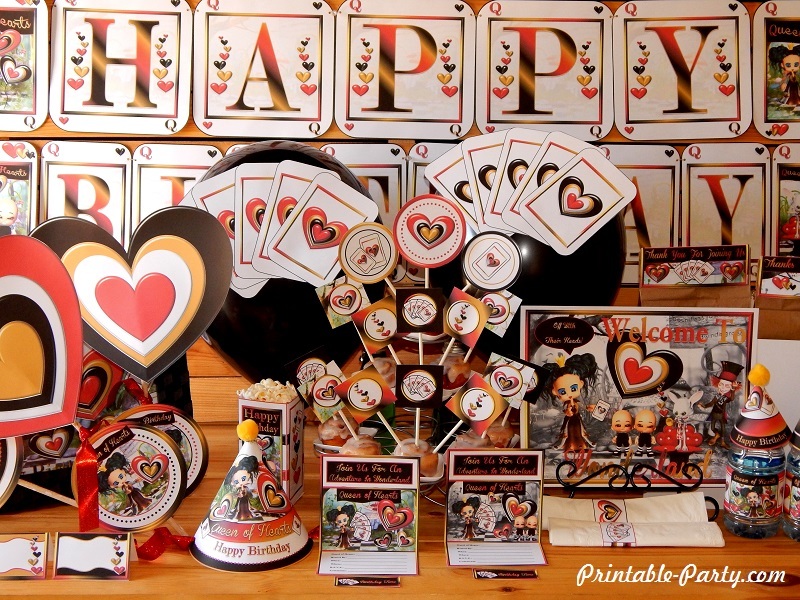 Wonderlands Queen of Hearts printable party supplies themed decorations. 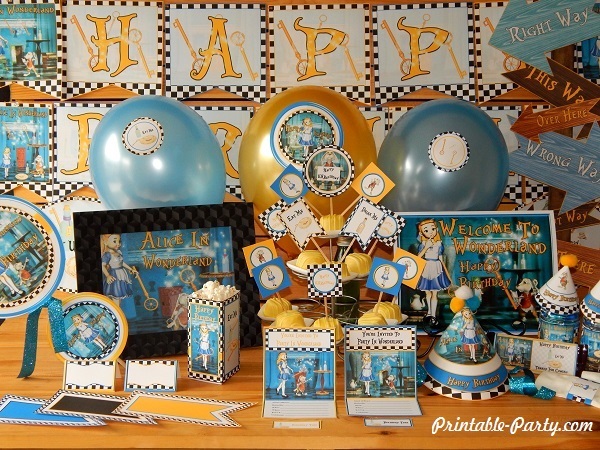 This cool party theme is inspired by the wacky & fun Adventure In Wonderland. 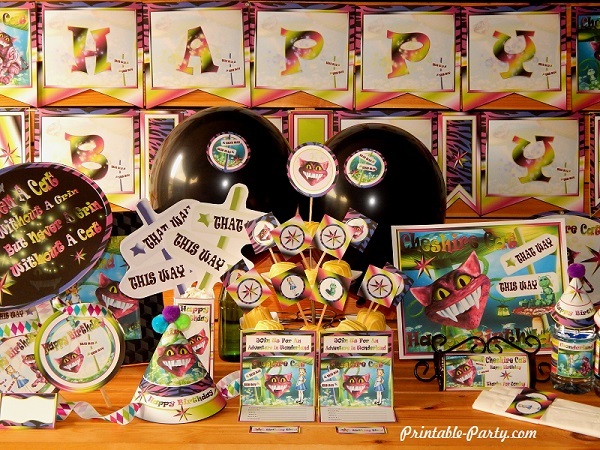 Every printable page in this PDF digital printable party pack is hand designed & exclusively seen here. 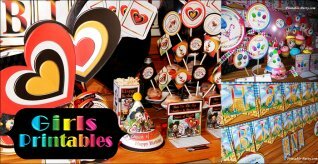 You'll see wacky characters of Tweedledee & Tweedledum, the Mad Hatter, the White Rabbit, & The fabulous & feisty Queen of Hearts. 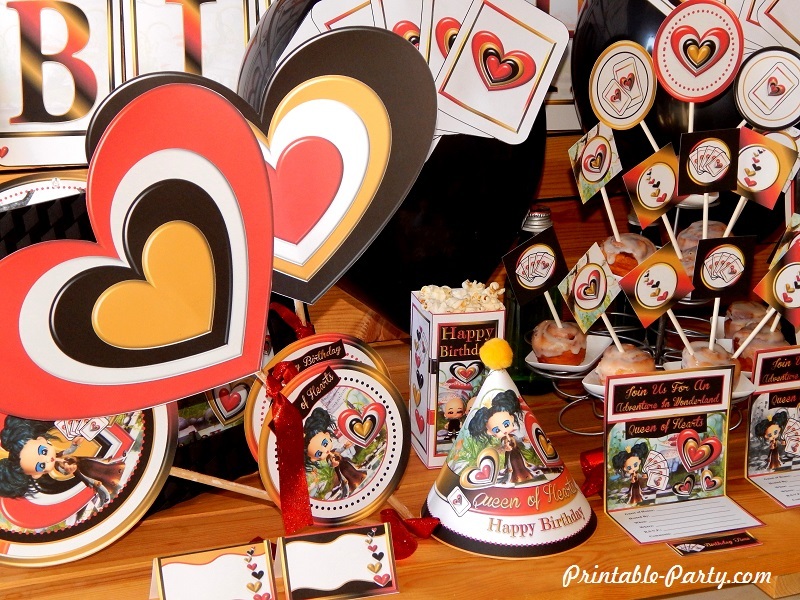 Queen of Hearts party theme includes cool 3D hearts in layered colors of red, black, gold, & white. 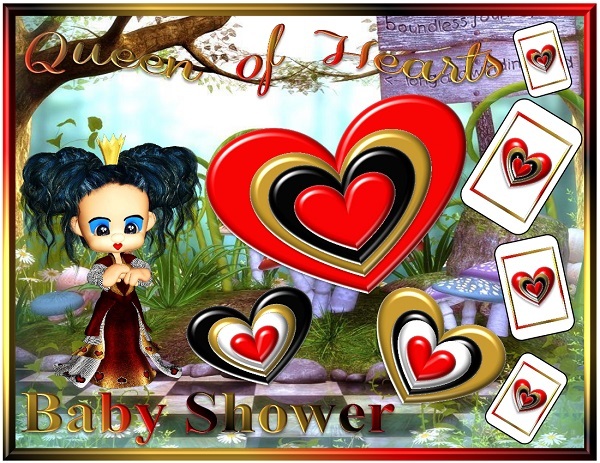 You'll also find spreads of cards, giant sized cards & hearts, & eye popping colors. 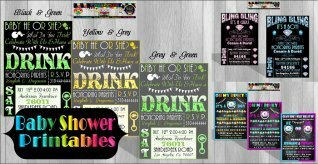 (Unfolded sized is 4.5x7) Printable invites can be tri-folded or left flat & come in 2 designs. 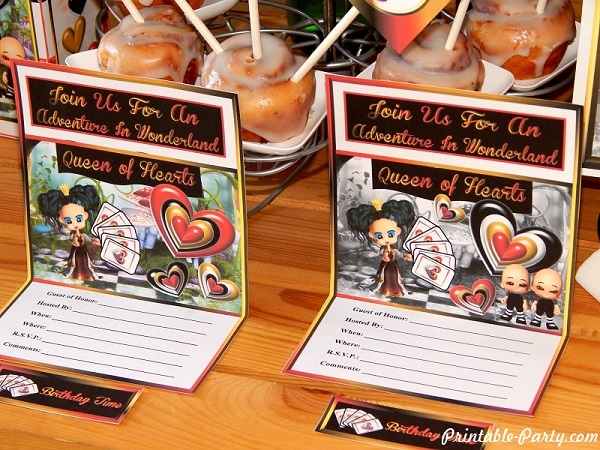 Invites fit in envelopes sizes A2 folded or 5x7 when left flat. 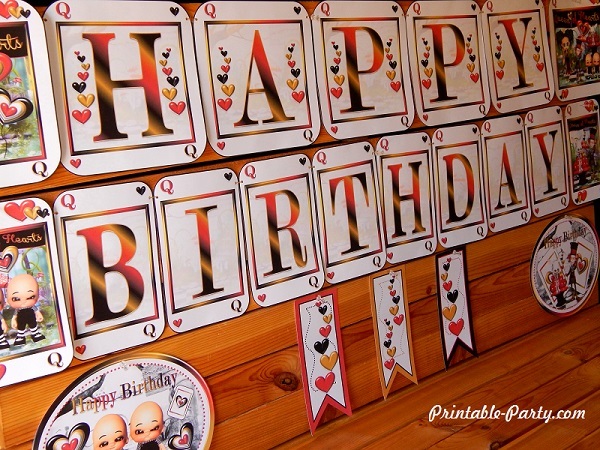 Printable card banner letters that spell Happy & Birthday. 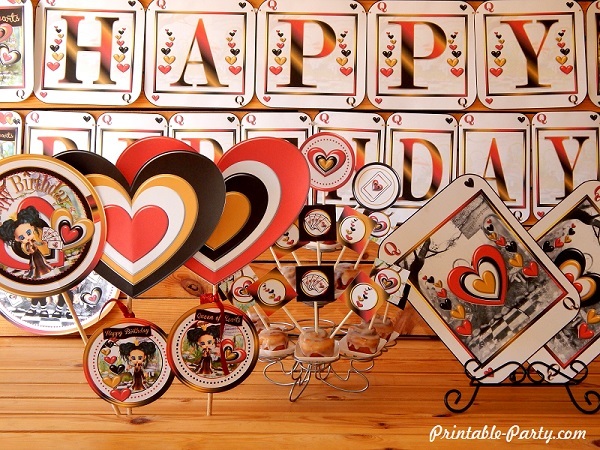 11 Decoration designs includes: 4 decor flags, 3 swallowtail, 2 oval signs, & 2 large cards. 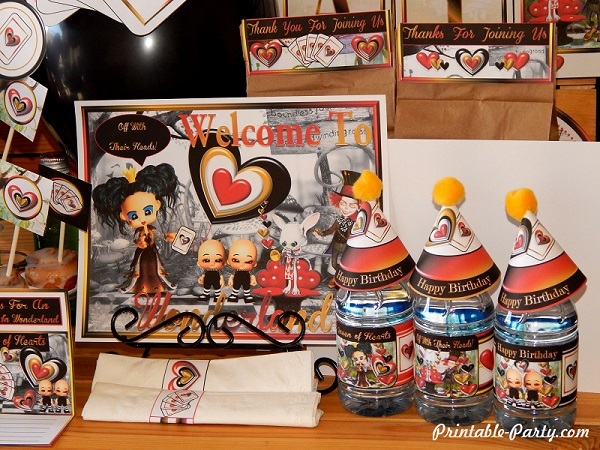 Printable bottle wrappers with 3 designs on each printed page. 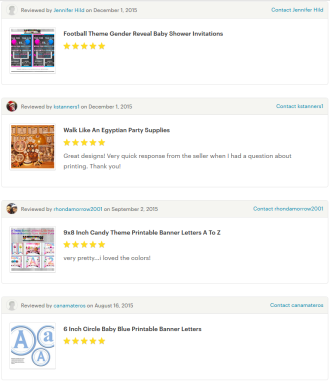 Wrapper will fit around most personal sized drink bottles & juice boxes. 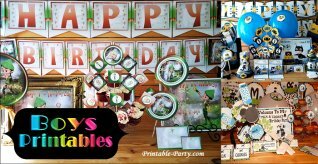 Printable birthday party hats & minis. 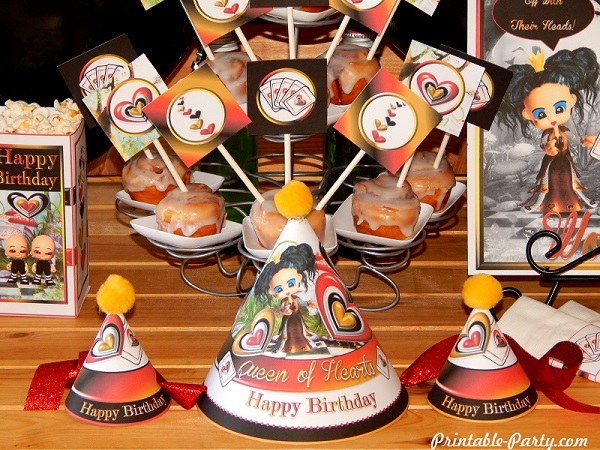 1 standard cone party hats design & 4 mini hat designs. 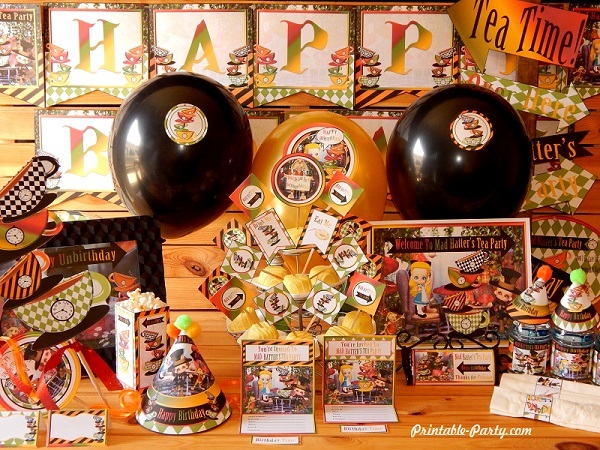 Mini hats can be used as table decor or bottle toppers. 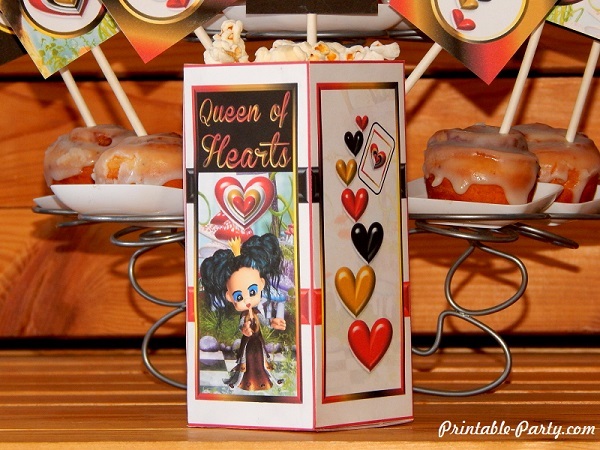 3x6 inch printable snack & party favor box with open top. 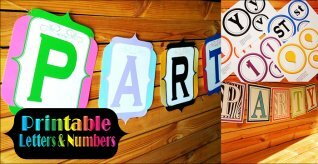 Can be used to fill with dry party foods & snacks. 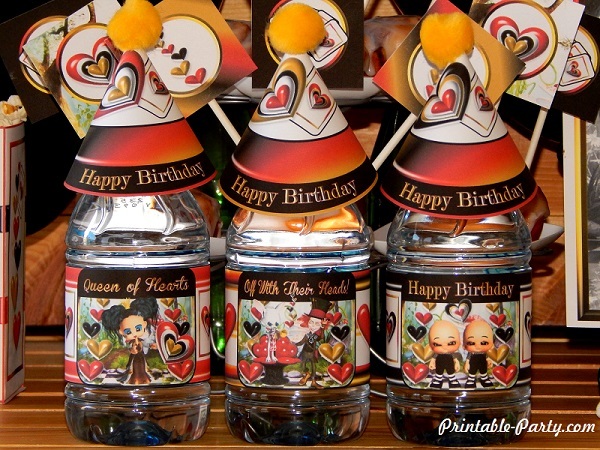 Cans also be use for small party gifts. 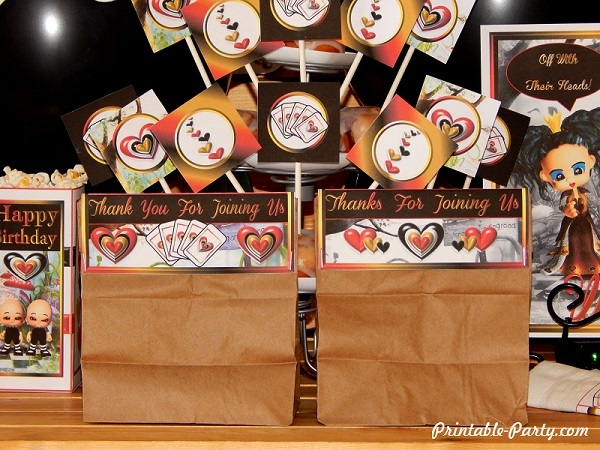 Printable bag toppers are 5.3 inches wide & fit on standard sized lunch bags or any other bags you may find that fit. 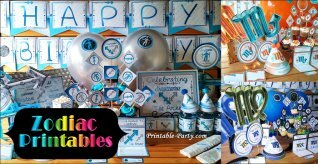 Great for party favors or food.